Queste is a new fantasy RPG that's up on Kickstarter. I have long said that the most important thing you can have in a game is options. Queste says that it has more options than most, while still maintaining game balance. Have yourself a look. 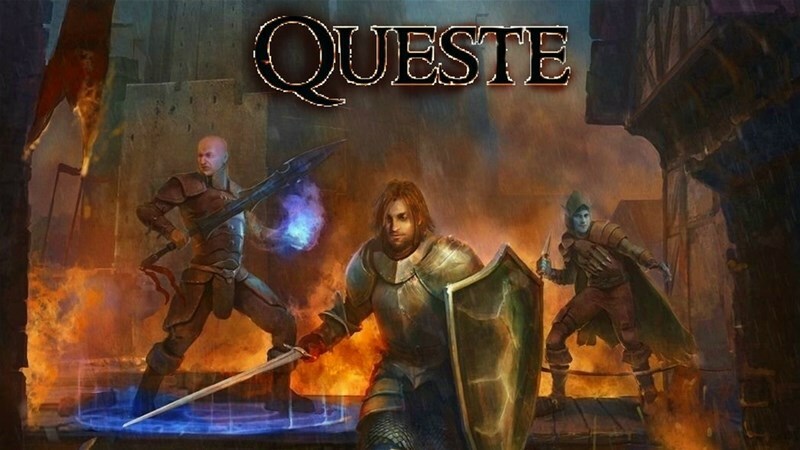 Queste is an imaginative, tabletop RPG that opens a world of adventure to its players, the likes of which are found nowhere else. Its balanced game mechanics challenge the player's abilities at every turn. By making careful and strategic choices, you can improve your character's strengths over time. You can gain new skills, master ancient spells and creations of your own, collect items of legend and craft items to your liking, solve puzzles; all the while allowing you and your friends to freely roam the worlds they create. It’s up to you, decide who your enemies are, make alliances, complete heroic missions, and seek rare treasures, but be wary. Adeltha is just as unforgiving as it is vast. Adventure is waiting for you and it has been waiting a long time. Queste takes place in a world called Adeltha. It has several major continents namely Windel, the Brin, Sandora, Monith, Balta, Makindaw, and the isles eight. Each having a number of countries each country having its own unique culture and laws. Every country is full of many cities and small towns, and each one having a deep rich history. The world is truly massive. There are hundreds of playable races that inhabit this world. All with a lengthy ancestry spanning over 3,799 years. There are 120 constellations every person is born under one of these Zodiacs signs know as birth signs and it imbues them with a special power. There are well over 1,000 classes such as ranger, paladin, barbarian, wizard, assassin and tons more. Each bringing its own different valuable skill set. Not to mention the endless spells, feats and enchanted items. It’s true that the vastness of it all can be quite overwhelming, but luckily you only have to be worried with your own character their story's place in it all. So come and join us, and start your very own Queste. The campaign is up and running now. It's set to go for another 22 days.